Konsole: schwarz. Original Playstation 4 Konsole in Schwarz. - Gebrauchsspuren an der Konsole. Integrierte Original 500GB Festplatte. HDMI-Anschlusskabel für TV. 237,95 EUR. 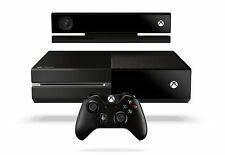 Microsoft XBOX ONE Konsole 500GB Schwarz Contr. 139,95 EUR. Es handelt sich dabei um dieXbox One in Schwarz mit interner 500 GB Festplatte. Die Konsole ist auch mit KINECT 2.0-Sensor (nicht enthalten) kompatibel - also auch für neusten Spielspaß bestens geeignet. La console legge anche giochi originali. ALLA CONSOLE NON E PRESENTA LA SCATOLA. REGALO 10 GIOCHI A SORPRESA. i giochi che regalo sono COMPATIBILI. (GIOCHI compatibili ). SE HAI DUBBI SUI GIOCHI CONTATTAMI 3920635753. Sony PlayStation 4 Slim 500GB Matte Black Console. Condition is Used. Dispatched with eBay delivery – Shutl 1 day. Console has been used just few times ... perfect condition. All orginal accessories and box included. Das Spiel bzw. Konsole: schwarz. Original Playstation 4 Konsole in Schwarz - Mängel wie beschrieben möglich. - Konsole ist laut oder macht unübliche Geräusche. - Konsole nicht aktualisierbar. - Vibrationseffekt für echtes Gaming-Gefühl. 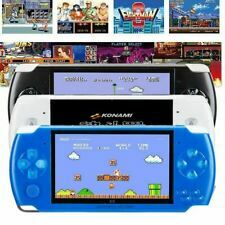 BITTBOY V2 - New 2019 Model - Retro Gaming Portable Handheld Emulation Console . Condition is New. I have taken it out of the box to ensure its working. 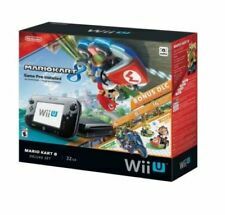 The console comes boxed with an SD card with custom firmware, SD card adapter and charging cable. 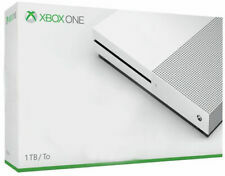 This console is in hand and in the UK. Nintendo 3DS. Nintendo 3DS XL. New Nintendo 3DS. New Nintendo 3DS XL. Support enacrylique transparent pour exposer votre Nintendo DS. La console n'est pas vendue avec le support. livré démonté (4 pièces à emboîter ). For sale is a PS4 Console bundle. 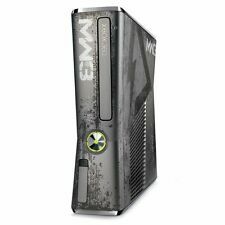 Included in the bundle is the following: - Console - All cables - Controller - Controller cable - 4gamers Headset - 2 games Everything is still in great condition and working perfectly. Thanks for looking and feel free to message with any questions. Have a great day. And experience premiere sound that puts you in the center of Spatial Audio. 4K Blu-ray and streamingWatch Blu-ray movies in stunning 4K Ultra HD and stream 4K video on Netflix, Amazon, and more. Dedicated Xbox Live servers maximize performance by ensuring stability, speed, and reliability. La console n'est pas vendue avec le support. livré démonté (4 pièces à emboîter ). POUR CELA, AJOUTEZ LES CONSOLES A VOTRE PANIER AVANT DE PASSER COMMANDE. hauteur : environ 80 mm. Contient de petites pièces. Support en acrylique transparent pour exposer votre Nintendo Super NES. La Console n'est pas vendue avec le support. La console n'est pas vendue avec le support. Condition is Used. 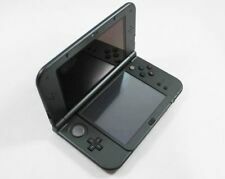 Black 3DS xl in excellent condition, no scratches. Pokémon Alpha Sapphire - used. Pokémon X - used. Les supports sont en PVC résistant, de très bonne qualitées. Ces supports sont fabriqués en france dans une entreprise local !, au laser. You are buying JUST the 16GB UPGRADED USB stick. 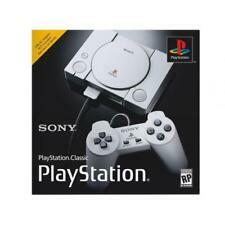 (playstation classic console not included!). It is not only a fun assembly project but also an educational tool to learn about all the hardware and software that goes into building such a device. Learn how to connect power, speakers and how to download and install an OS. Condition is Used. This sale is for a great Nintendo 3DS console as seen in the images. 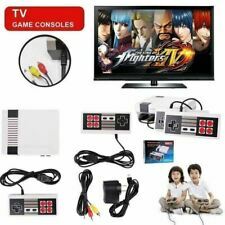 This item was used for a period, is fully functional, no screen issues and great condition. It does cone in its original box with the instructions. 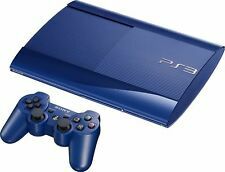 CONSOLE SONY PLAYSTATION 3 SLIM 500 GB. -CAVO AUDIO/VIDEO. Peso: 2 kg circa. La console n'est pas vendue avec le support. POUR CELA, AJOUTEZ LES CONSOLES A VOTRE PANIER AVANT DE PASSER COMMANDE. hauteur : environ 100 mm. La Console n'est pas vendue avec le support. La console n'est pas vendue avec le support. Es handelt sich dabei um dieXbox One Konsole in Schwarz mit interner 500GB Festplatte. Zustand gebrauchte/generalüberholte Ware, geprüft - voll funktionstüchtig; optische Gebrauchsspuren vorhanden (Gebrauchsspuren an der Konsole, Verfärbungen, viele sichtbare Kratzer (speziell an den Hochglanz Bauteilen), leichte Verunreinigungen) -keine Defekte. Neues AngebotSEGA DREAMCAST CONSOLE CONTROLLER & GAME BUNDLE - FULLY WORKING! The nunchuck is still new, never been used! This console was used once or twice and put back in the box. Condition is Used. Not all Power Cords, Was Not able to be Tested due to that fact. Console is clean was kept in storage in plastic tub over the years. Super Nintendo System SNES 1CHIP-02 Model - CONSOLE ONLY - GREAT CONDITION!!! Super Nintendo SNES Console Bundle - With 5 Games And Two Controllers.